"Theirs not to make reply, Theirs not to reason why, Theirs but to do and die". 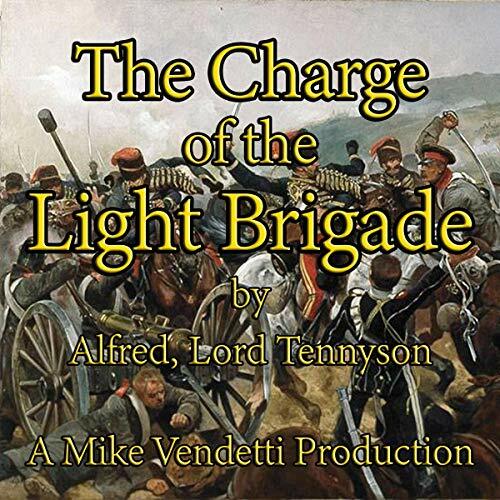 A lament of airman, soldier, sailor, and marine throughout history from Lord Tennyson's 1854 poem based upon a charge of British light cavalry led by Lord Cardigan against Russian forces during the Battle of Balaclava on 25 October 1854 in the Crimean War. British commander Lord Raglan had intended to send the Light Brigade to prevent the Russians from removing captured guns from overrun Turkish positions, a task for which the light cavalry were well-suited. However, there was miscommunication in the chain of command, and the Light Brigade was instead sent on a frontal assault against a different artillery battery, one well-prepared with excellent fields of defensive fire. The Light Brigade reached the battery under withering direct fire and scattered some of the gunners, but they were forced to retreat immediately, and the assault ended with very high British casualties and no decisive gains.